SoundCloud signs Sony deal, prepares to launch paid subscription service | What Hi-Fi? The deal with Sony means that SoundCloud now has agreements with the three major labels, which have been made on the terms that SoundCloud will launch a streaming service. The deal means SoundCloud will be able to have music available to stream from a number of big-name artists including The Weeknd, Calvin Harris, Justin Bieber and Coldplay. 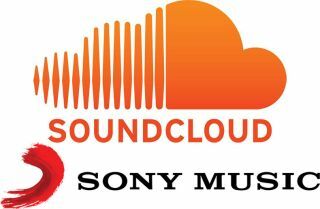 Music Business Worldwide reports that Sony will receive stock in SoundCloud, and will also be able to take part in the company’s next round of funding. SoundCloud now has all three major labels on board, after signing deals with Warner Music Group and Universal Music Group, and is expected to speed-up plans to release a paid subscription service - reportedly a specific part of the deals. SoundCloud also has similar deals with Merlin, a company that represents around 20,000 independent labels worldwide, and the National Music Publishers Association (NMPA), which represents approximately 800 American publishers. When SoundCloud will release a paid service remains unclear, but it's expected to cost $10 per month in an effort to compete with the likes of Spotify and Apple Music. There's also talk of a lower-priced tier to draw customers away from other services and perhaps keep existing free users (relatively) happy. Sony Music has been making headlines itself this week, after it was revealed it paid $750 million to acquire the remaining 50 percent stake in Sony/ATV publishing.